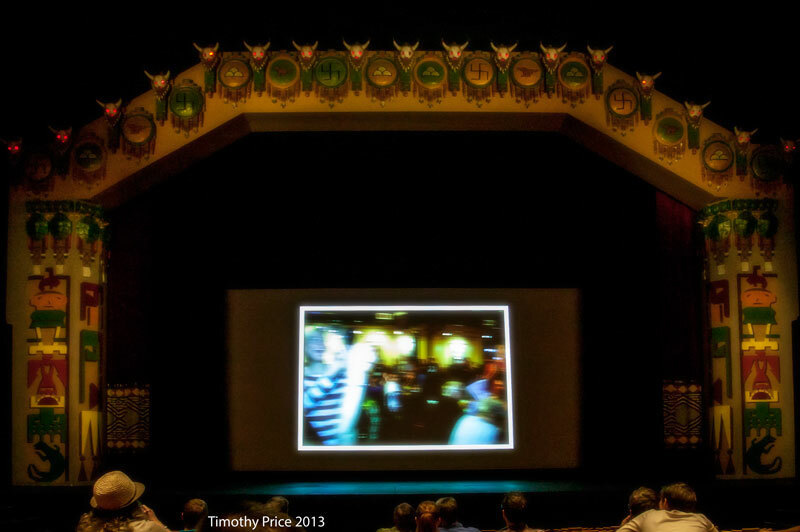 We went to the showing of the top 13 films from the Albuquerque 48 Hour Film Festival in the historic Kimo Theater on old Route 66 downtown. The participating teams get topics and then have 48 hours to write, cast, film, and complete final production of their movies. The common elements in each movie were a map, the phrase “You’re so smart!” and the name Roman Rodriguez. The atmosphere was festive and the films were very well done and enjoyable to watch. I hadn’t been in the Kimo in a very long time. It’s a great theater with its glowing skulls and depictions of Anasazi symbols.